Industrial Air Compressor Systems Repair or Replace? If you don’t think your “repaired” legacy compressed air system is not costing you money, think again. 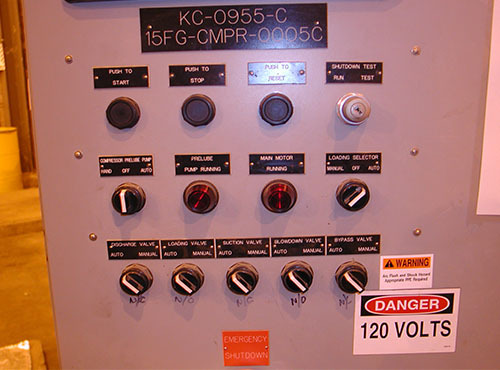 It’s time to take a look at your air compressor control systems. We’ve been in the industrial control and automation business for over 20 years, and we’ve seen more than a few short term solutions become very costly in the long run. Everyone wants to reduce operational expenses, but they often overlook the most effective way to do so. The best way to reduce your plant’s operational expenses is to have a solid control and capacity management system for your industrial air compressors. Simply put – If you don’t know what to expect from your system, how will you know when it’s not operating at maximum efficiency? 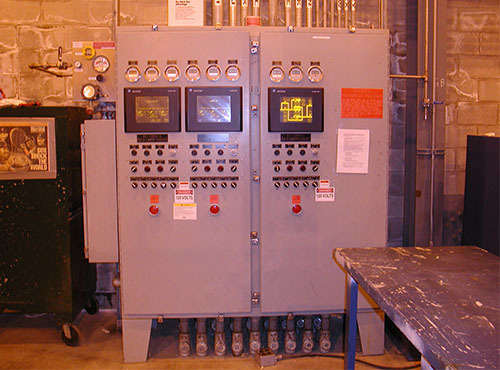 Is it time to replace your Air Compressor Control Systems? 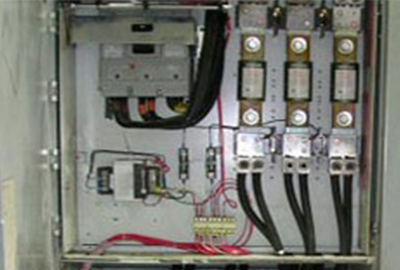 Our team of experts specialize in identifying problems and inefficiencies in air compressor control systems. As engineers, we look at long term costs factoring into the projected lifetime of a machine. We know it often seems more cost effective to extend the life of a machine by simply repairing it. In most cases, it’s actually cheaper to completely replace an air compressor system when taking into account the efficiency of a modern air control system. Often we see situations where an industrial air compressor is running constantly, regardless of the actual need of the system. Sure, there’s always air available, but all of that extra air is costing you money. By making your compressors more intelligent, you will have an optimized system that prevents waste and effectively reduces power consumption. All manufacturers have one thing in common – they want to maximize how much they can produce. There’s nothing wrong with that as long as you’re prepared for long term production. When plants attempt to bolster production by simply increasing system speed to maximum, defects occur and processes break down quickly. Finding trends in machine output and breakdown can be used to your advantage. In gaining more comprehensive system data, we’ve developed ways to actively monitor machine trends and predict potential breakdowns before they happen. This means you can plan around scheduled downtime and avoid getting blindsided by a total system shutdown. You need to consider long term cost and benefit when deciding whether to repair or replace your industrial air compressor systems. Don’t assume it’s a cheaper option to repair a machine and that it won’t be more expensive in the long term. We can tell you from experience – it usually is. The bottom line is – there’s no such thing as repairing something “good as new”. Sooner rather than later, that machine will breakdown again, and the resulting downtime and maintenance will cost you. Newer systems almost always pay for themselves in the long run by lowering your maintenance and utility costs. This has been a key benefit to some of our largest clients. Consulting with an industrial air compressor control systems professional can help you quantify the hidden savings and benefits of upgrading to a modern system. We’ll calculate the pros and cons of replacing and repairing your old air compressor systems, and help you make the right decision backed by facts. Don’t wait for a potential breakdown which can result in lost money.